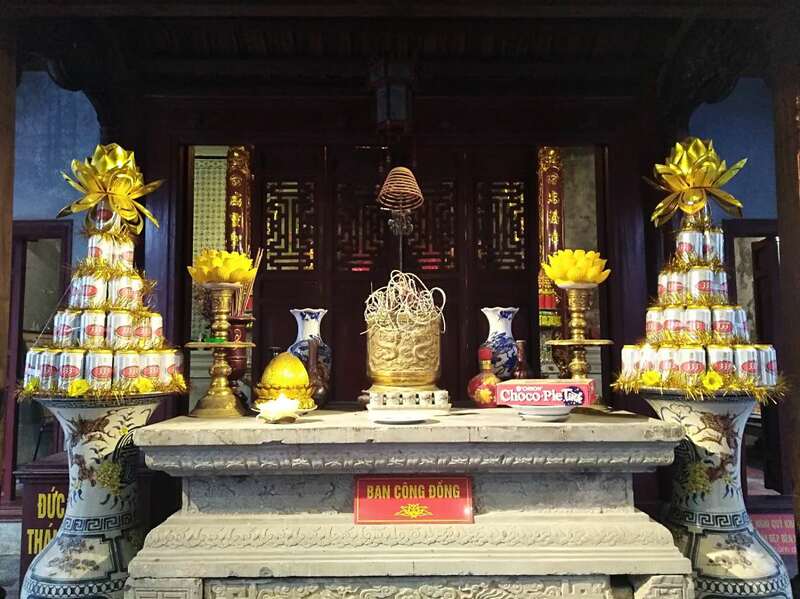 In any Ma and Pa shop in Hanoi, you’ll find a shrine with tangles of incense and offerings of cigarettes, beer and moon pies. 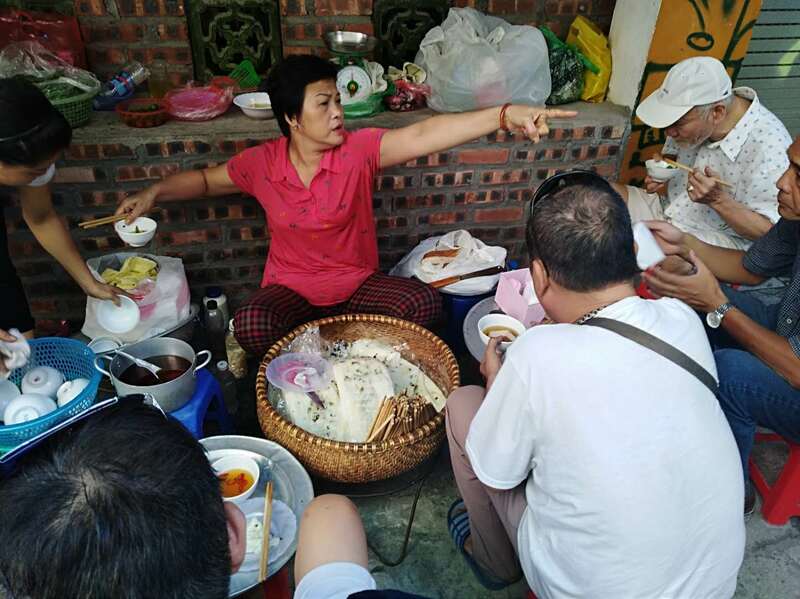 It’s the Vietnamese way of taking care of their loved ones in the after life. I hope Anthony Bordain is one of those spirits as he loved this town. I say a prayer hoping he’ll show up and tell me where to eat. Why? As I have found out, travel websites on Vietnam can’t be trusted any more than a timeshare pitch in Cancun. YouTube videos aren’t much help, either. Mostly, they feature Asian thrill food such as spiders and bugs. But what if you’re hankering good grub, not grubs? If a place has a laminated pictured menu, it serves the Asian version of hangover food. Greasy rice with unidentifiable meat bits that absorb the alcohol from the night before. A better choice? Look for where the locals eat. Point to their bowl and order the same thing. 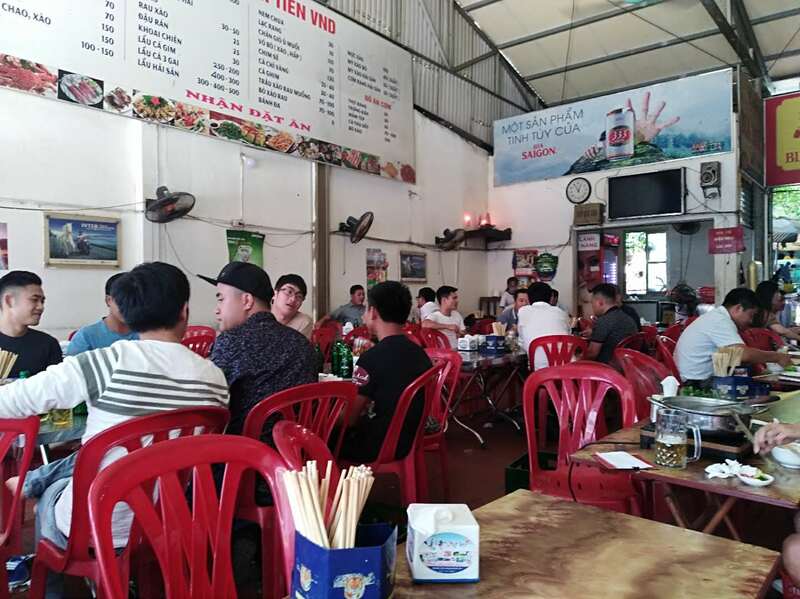 Sheet metal buildings with rusty menu boards and locals playing dice games also a good choice. If by chance, you order something you don’t like, move onto your next dish. The typical entry is 50,000-90,000 dong or 2-3 bucks, which is a lot less than you dished out for the Starbucks at your departure gate. Also, Bus Services are Not Created Equal. 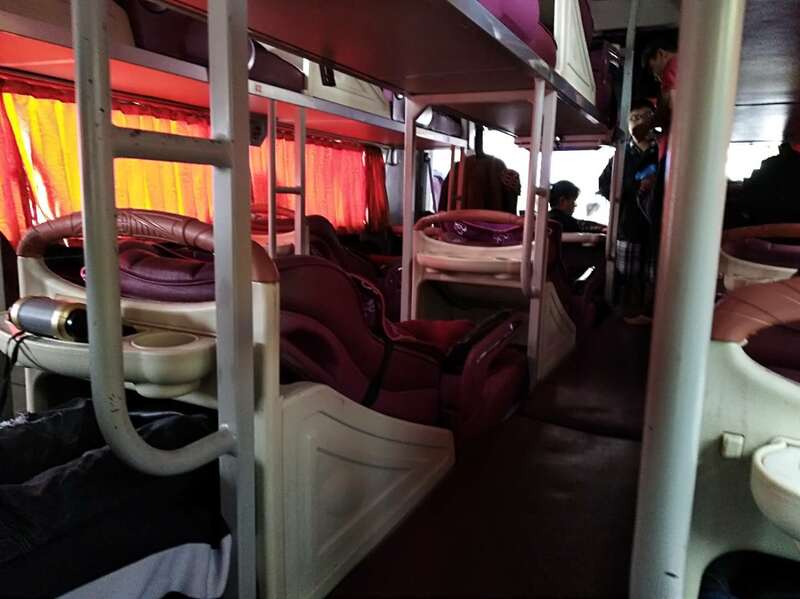 An easy way to get from Hanoi to Sapa or Ha Long Bay is by bus. Some night buses have baby carrier like cradles for you to sleep in. As bizarre as they look, the seats are quite comfy. 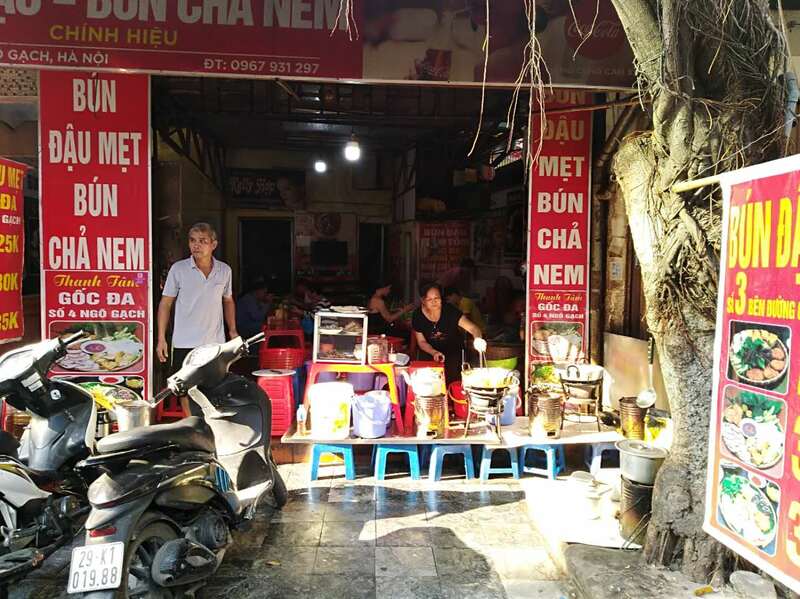 However, other companies are the Vietnamese equivalent of Greyhound, picking up passengers along the highway, turning a six-hour ride into nine, while the driver honks a horn that sounds like a tuning fork for a clown. You might want to pop for a limo service (a decked out van). 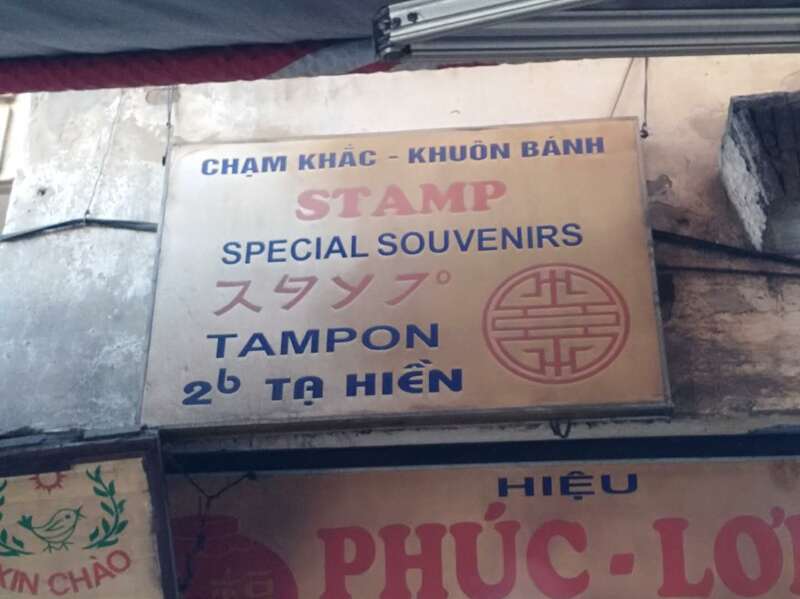 The price from Hanoi to Ha Long Bay was just over 10 USD. And the Perks? You get a seat belt. However, don’t be alarmed if the van over to some obscure place and asks you to transfer into a different vehicle. You are not being kidnapped by human traffickers to sell your body parts. Limo drivers have hubs to swap passengers going to different destinations. Keep your eyes on Ha Long Bay, not Ha Long City. 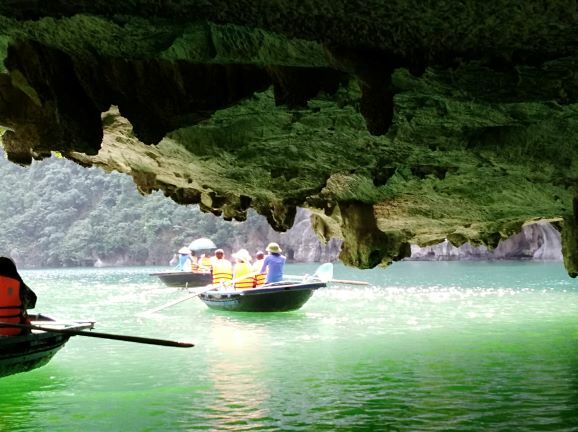 Ha Long Bay is to Vietnam what the Grand Canyon is to the American West. The city itself is sad with a lot of half completed construction projects, including an abandoned amusement park. 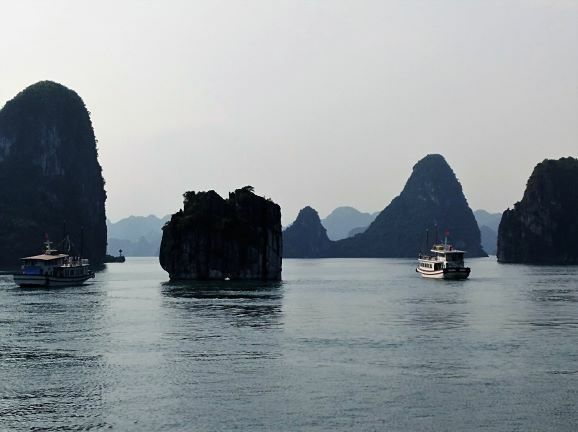 Ha Long Bay is quickly becoming one of the most polluted areas in the ocean. Deposable contact lens leave fish belly up and Prestone Antifreeze jugs float like toxic buoys. Still, it’s beautiful and worth the trip. 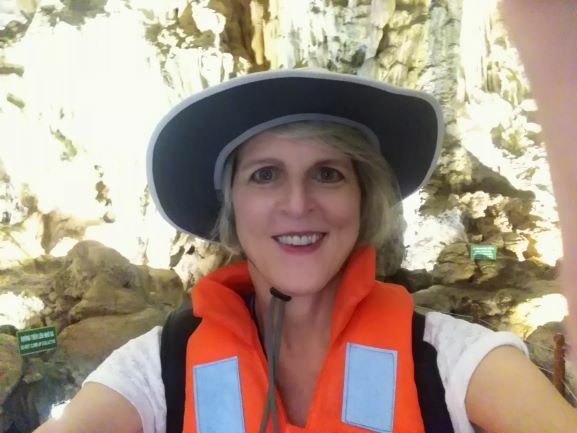 I wore my life jacket even in the cave because that Thai Soccer team story really freaked me out. As for the scenic mountain view of Ha Long Bay that you see in Instagram selfies? Beware of snakes. Yes, snakes. 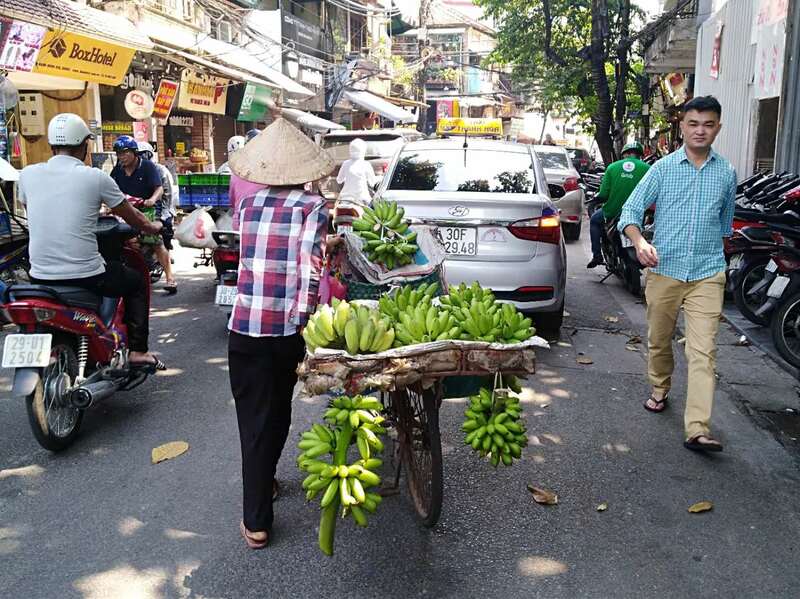 I met a young backpacker whose adventure ended up with a $200 unplanned trip to a Vietnamese Emergency room after bitten by a green snake on the steps. While the bite wasn’t deadly, it was still a bite out of her budget. Wear socks under your sandals just like your grandpa does. Also, carry a walking stick to scare off slithering creatures that cross your path. 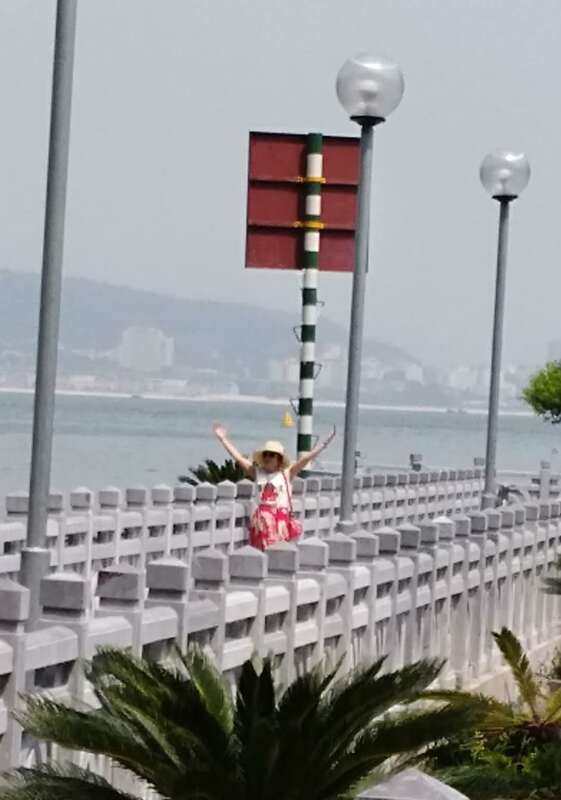 Also beware of tourists who just want to a photo with you and your SPF 55 skin shade. I became a human prop of this woman who thought she was on a CoverGirl shoot. I was tempted to push her Gucci knockoff bag into the bay. Finally, don’t believe all signage. Tagged asia, food, halong bay, Hanoi. Bookmark the permalink. So that’s why the water looks like anti-freeze!